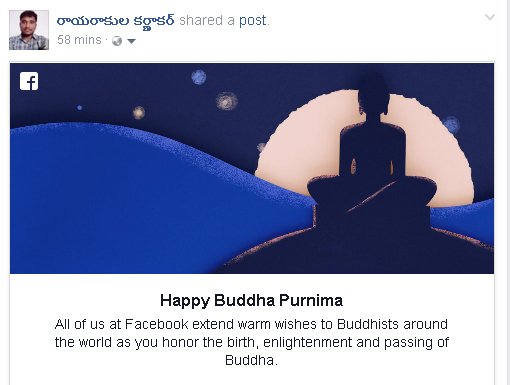 Facebook Greetings for the festival and celebration of Buddha Poornima on today. Today is the Buddhist festival that marks Gautama Buddha's birth, enlightenment and death.It falls on the day of the full moon in May and it is a gazetted holiday in India. .